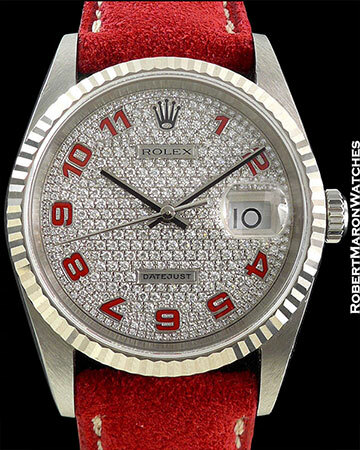 The Rolex Datejust is THE quintessential gift to own. Trendsetting and wonderfully reliable in timekeeping. 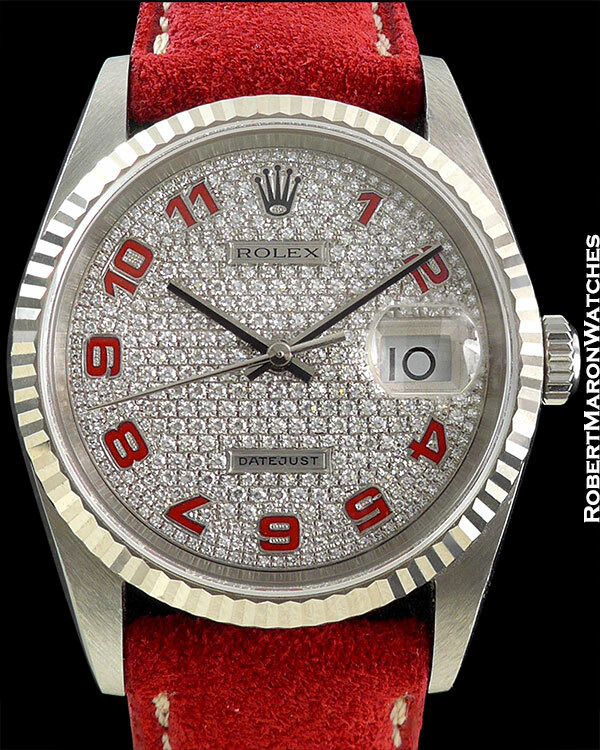 This exceptional Datejust 16234 features a remarkable factory original pave diamond dial with unpolished steel case and 18k white gold fluted bezel. 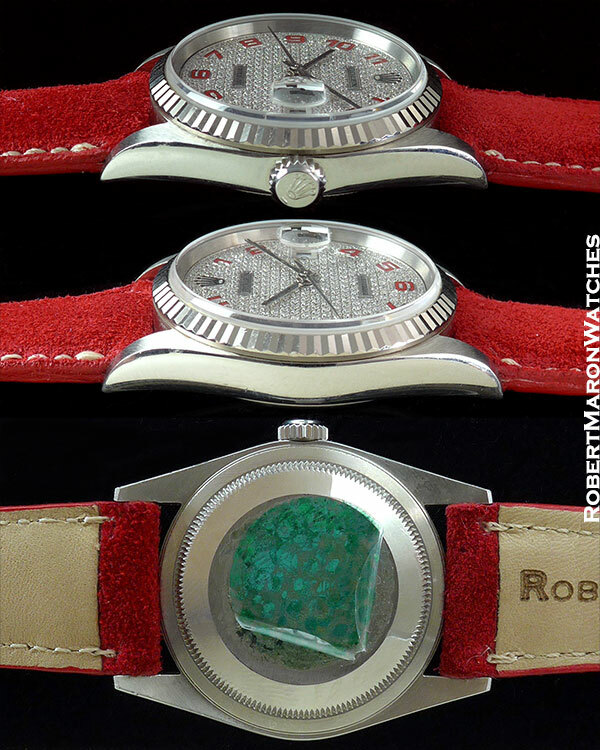 Original case measures 36mm in diameter. Crystal is Sapphire. Screw down crown operates efficiently. Bezel is in fantastic condition with no signs of wear. The Serial number K805XXX dates production to 2001. 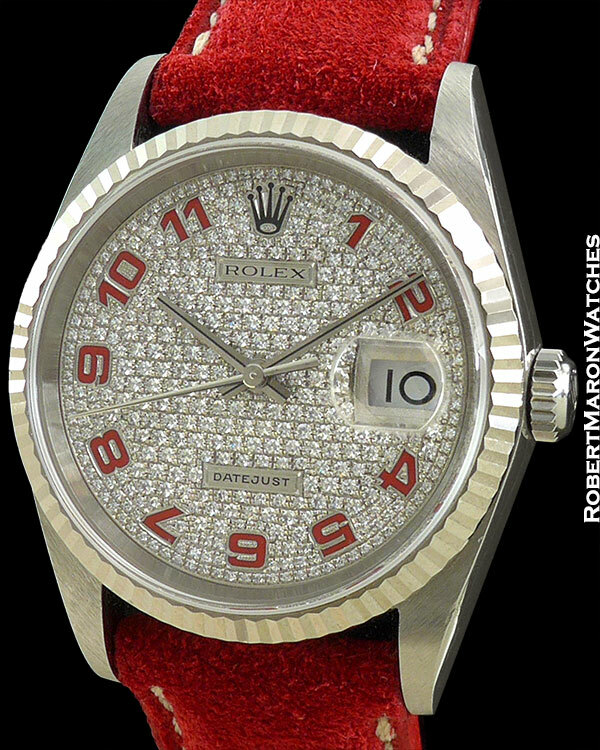 Movement is the automatic Rolex Caliber 3135, with quick-set date. The 3135 perpetual movement offers one of the most definitive and dependable readings out there today. This watch is like new and truly a showstopper.